All right. This is the final one from the Love Story collection. It's not quite a lovey-dovey colour, in my opinion. It's rugged and I like it a lot! KOH First Date is an army green with a tint of grey. I especially like how this one applied - creamy and effortless. It's the usual two coats here. I always say lilacs are very soothing to look at and this one is no exception. 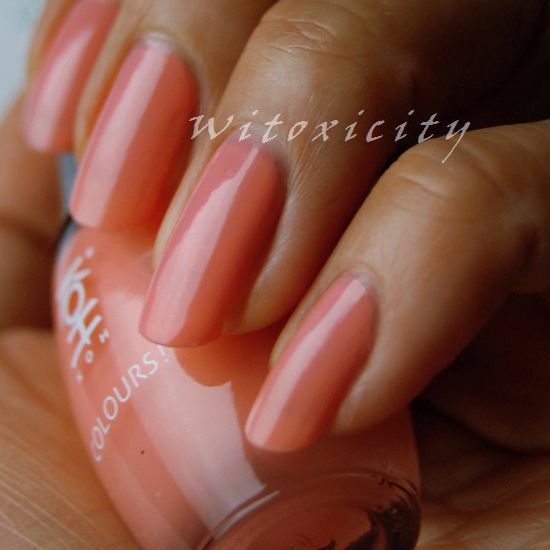 KOH Hold Me Tight is a lovely, likeable lilac. Two thick coats and there were no problems with application. This polish is from the KOH Love Story collection. 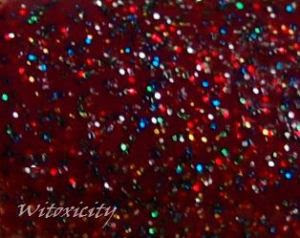 KOH Love Forever is another polish from the mushy-themed Love Story collection. It's a simple one and the broodiest of the six. Love Forever is a gorgeous deep berry. Application was fine and it was opaque in two easy coats. Fireworks light up the night sky outside but this is how it looks in the night sky of my mind. Happy New Year, everyone! I wish you joy and may 2013 be a year of good health for you and your loved ones.